If the media is to be believed, investments took a bit of a pounding in the aftermath of the UK’s vote to leave the EU. The reality couldn’t be any different, as many asset classes actually made sizeable gains in the days following the referendum results. The chart below shows the performance of a selection of the funds held in our TRAILS™ portfolios in the days before and after the referendum vote. While UK Equities fell, Global Equities, Emerging Market Equities and Global Commercial Property funds saw large increases in their values. UK Indexed-Linked Gilts also faired well and Global Bonds held their own. 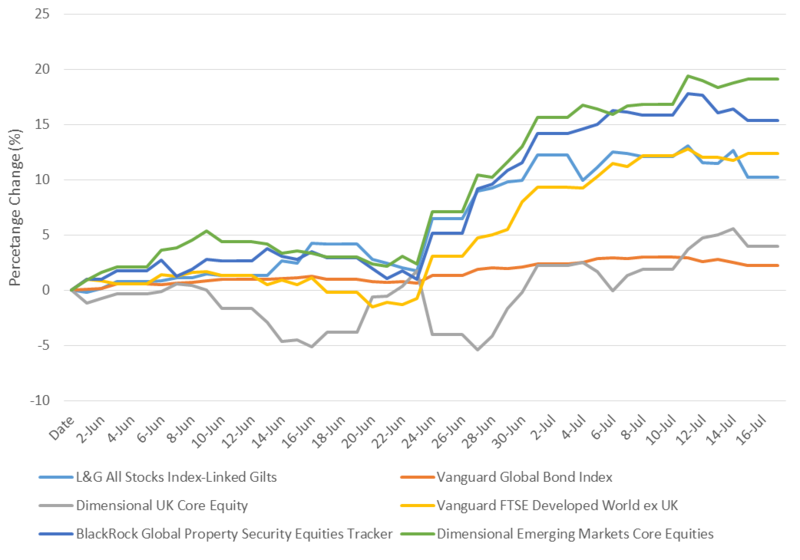 As a result, those invested in a globally diversified portfolio (like one of our TRAILS™ profiles), would have seen an uptick in the value of their portfolio in the wake of the Brexit vote. One key factor is due to the drop in the value of the pound against the dollar which actually had a positive for such investors. 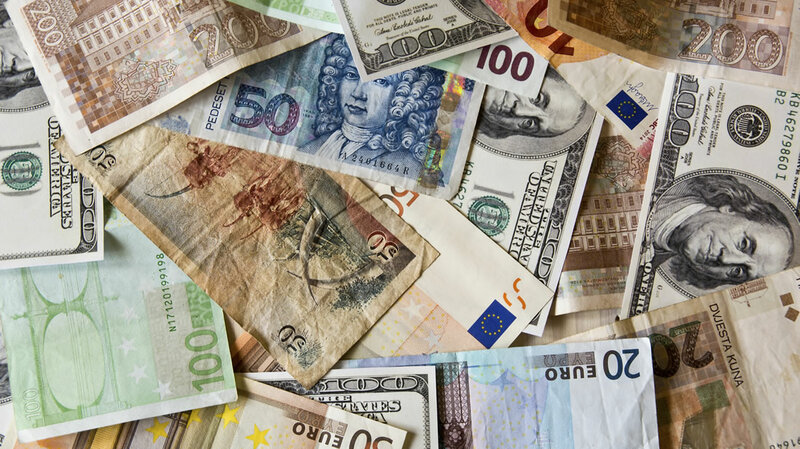 This is because many of the TRAILS™ funds have exposure to other countries outside the UK and the underlying assets are denominated in dollars and euros (as well as other currencies). While a falling pound is not great for importers, UK exporters will benefit because their goods are cheaper to buy abroad. Tandem clients have benefited too from a falling pound because the exchange rate conversion of the underlying shares (within the TRAILS™ funds) back into Stirling has resulted in an increase in the price of many of our funds, pushing up their value and therefore your overall portfolio value. The point here isn’t to prejudge the likely impact of Brexit going forward but simply to stress the power of diversification. Diversification across multiple asset classes (such as bonds, equities and commercial property) and geographically, is a key investment principal for us here at Tandem. We achieve this by holding different asset classes that complement one another. When equities zig, bonds tend to zag and this reduces volatility (ups and downs) in your portfolio and can improve returns in the longer term. The origins of diversification within the context of investing lie in the work of Nobel Prize winning economist Harry Markowitz, who described diversification as the only ‘free lunch’ when seeking investment returns. The concept of diversification has been around for hundreds of years in other aspects of life. The saying ‘don’t put all your eggs in one basket’ apparently has its origins in the Spanish novel “Don Quixote,” which was first published in 1605 and is considered to be one of the most influential works of literature from the Spanish Golden Age! Diversification is as powerful today as it was then. It is indeed one of the few timeless investment strategies!